Our Economics department is home to exciting, relevant, and well-respected research, leading the field internationally. We offer seminars, workshops, and affiliations with other units on campus. Scholars from around the world come to IUB to pursue and present their work and collaborate with our faculty and graduate students. 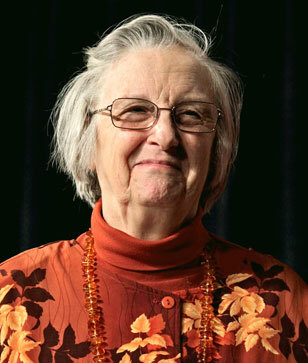 IU Political Science Distinguished Professor Elinor Ostrom (1933–2012) was awarded the Nobel Prize in Economic Sciences in 2009 “for her analysis of economic governance, especially the commons.” She was the first woman to win the Nobel Prize in Economic Sciences. IU Economics faculty members James Walker and Roy Gardner worked closely with Elinor Ostrom. Our campus is fortunate to be home to two respected institutions focused on research and interdisciplinary collaboration in the social sciences: the Ostrom Workshop and the Center for Applied Economics and Policy Research. Enhances the intellectual environment in Economics by hosting visitors; promoting faculty research; issuing working papers; and sponsoring conferences. Founded by Nobel Prize-winning economist Elinor Ostrom, and her husband Vincent, the workshop builds research programs; develops promising young scholars; and supports senior scholars in the social sciences.